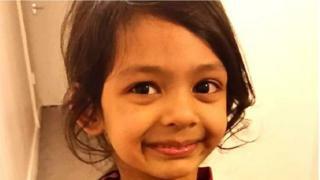 A woman has been charged over a crash last year which killed a six-year-old girl who was on her way to prayers with her father. Jannatul Bakya was crossing Oldbury Road, Smethwick, when she was struck by a car in July. She had been heading to a local mosque and was pronounced dead at the scene. Andjele Vranjes, 27, of Beakes Road, Bearwood, appeared at Walsall Magistrates Court earlier accused of causing death by dangerous driving. She was granted unconditional bail, with her next appearance set for Wolverhampton Crown Court on 25 April.